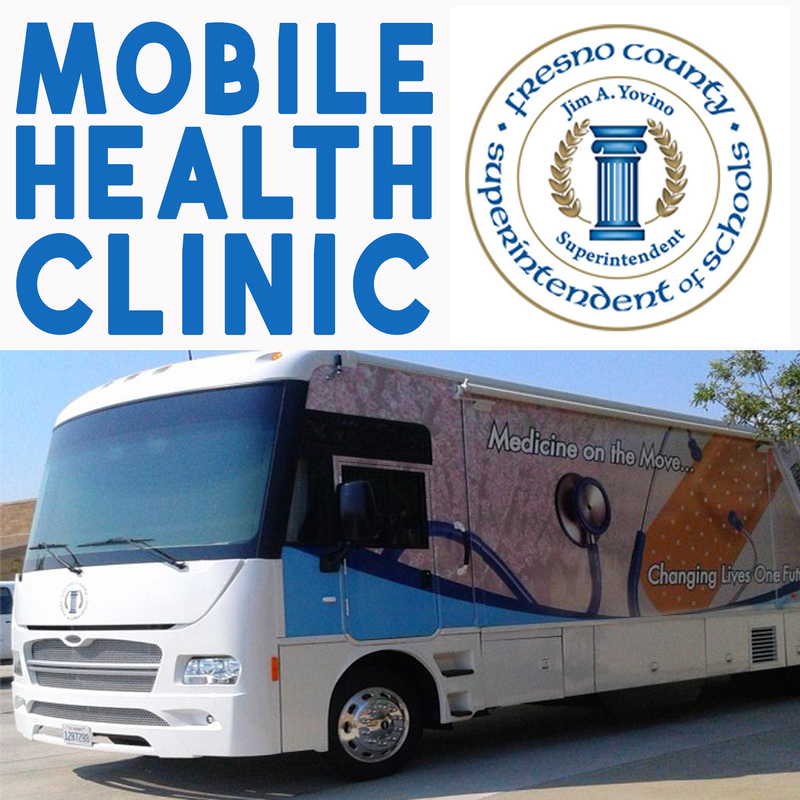 The FCSS Moblie Clinic provides healthcare, health education, and advocacy services to students, parents, and community members in Fresno County Schools in order to promote lifelong learning and wellness for families, schools and the community. 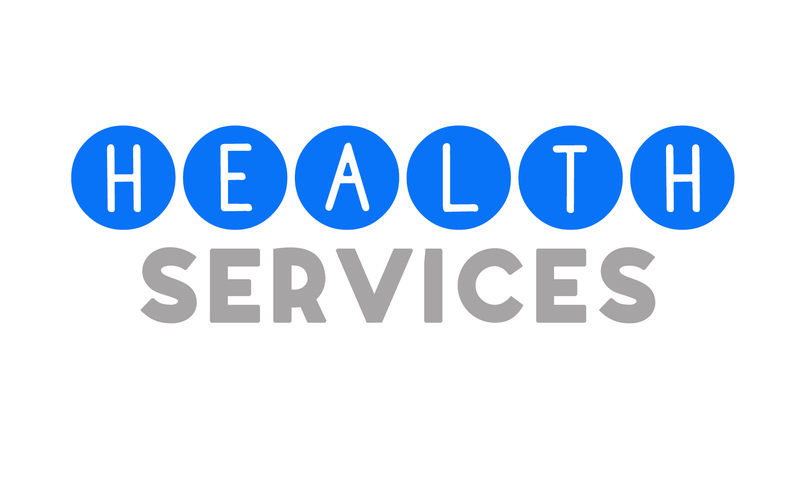 Appointments are preferred, but walk-ins are accepted. 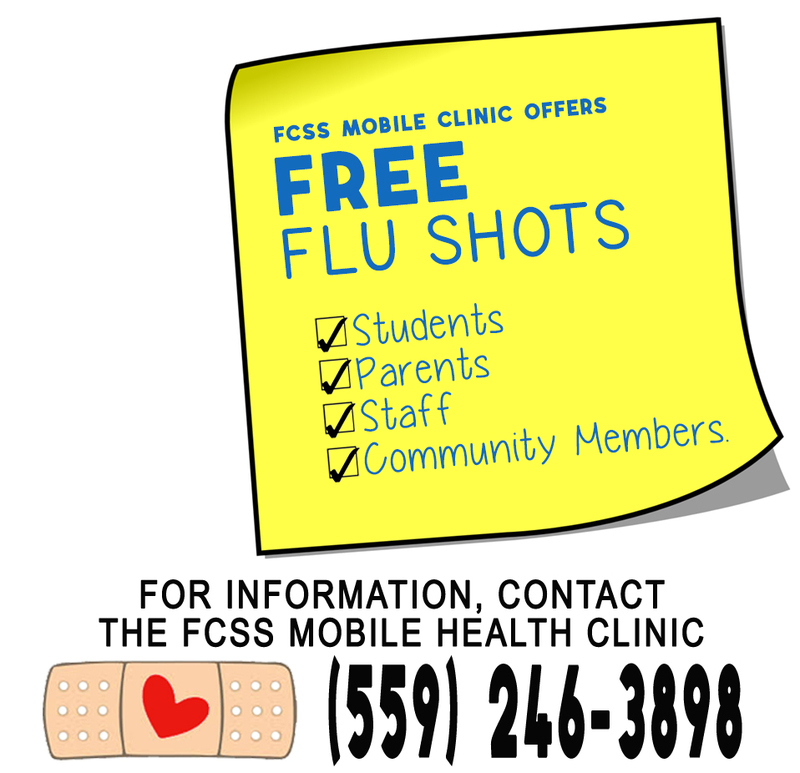 FCSS Moblie Clinic (559) 246-3898.